So last night I completed my set! Playing in full Majora’s Mask style now. I got the armor on my very first scan, and it took a few more days to get the rest, but it is finally complete! Mwahaha. So Amiibos are pretty cool. I didn’t own any of them, but I read about the Twilight Princess Wolf companion, and thought, that would be cool. Then I read about the 20 heart wolf, but didn’t want to replay all of Twilight Princess HD. I already have a full Zelda game to play right now! Each Amiibo figure offers a different in-game reward. The Twilight Princess Wolf Amiibo always summons the wolf companion. The Smash Brothers or Twilight Princess Link will summon Epona on the first use, and then turns into an item generator. Most Amiibos work like this, summoning a selection of items from the sky and a golden treasure chest. Sometimes these chests contain run of the mill items, ice arrows, gems, etc. But sometimes, they contain Exclusive content that can only be obtained via the Amiibo. The other cool thing is that you can farm an Amiibo to get the item that you want. Amiibos can only be scanned once every 24 hours. That’s it, one reward a day. However, if you save the game right before summoning the Amiibo, if you don’t like your prize, just load up that last save, and try and try again. It is a pretty simple, yet repetitive process. If you like the reward, save! And if you don’t, reload. I probably got all 4 Exclusive items from the Majora’s Mask Amiibo in about 5 rewards, though I probably scanned that figure about 40+ times. So some of you may be asking, what Amiibo did you use, Majora’s Mask? That doesn’t exist! Well, that is true, it doesn’t exist yet. When I went online to find the Wolf Amiibo, but they run about $50 a pop! I thought maybe a used one on eBay, but again, $50. Then I started noticing that people were selling Amiibo’s for around $10. But they weren’t the figures, they were just the NFC chip with the data on it. I figured people would remove the chip from their figure so they could keep their Amiibo collection. But then I started down the rabbit hole. Apparently there are apps that allow you to scan an Amiibo, and then rewrite that Amiibo data to a specific NFC card. With this, you can clone your friend’s Amiibo figures. Granted, one of you has a cool collectible figure, while the other has a small plastic credit card. But, some people figured out that Breath of the Wild contains Amiibo data that hasn’t been released yet, namely, a Fierce Deity Majora’s Mask figure. So if you don’t like spoilers, you should stop reading now. 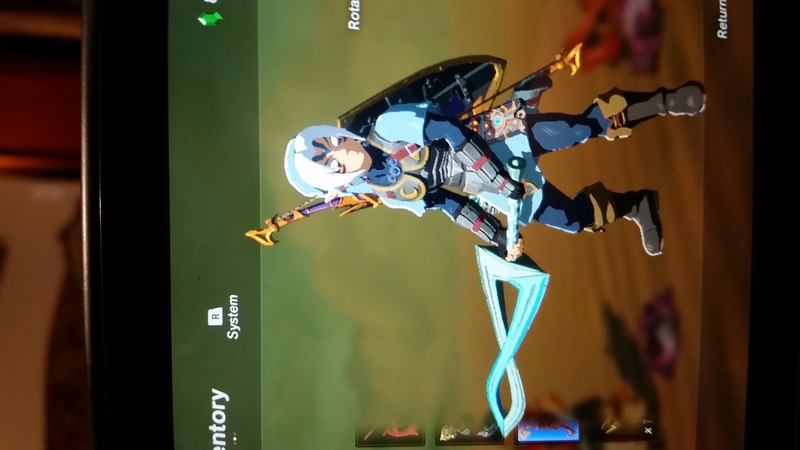 It seems like most of the Exclusive Clothing bits dropped in Amiibo chests are just re-skinned clones of other armor that exists in the game. 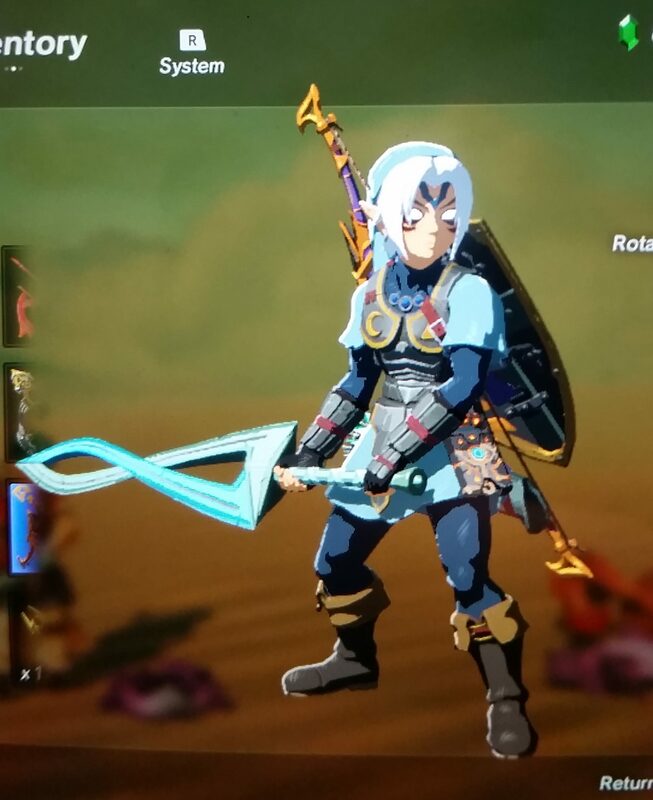 So technically an Amiibo Armor doesn’t give the player any bonus that they couldn’t get in game, but they do look cool! The Fierce Deity costume is a clone of the Barbarian armor, which are hidden in the mazes of Hyrule. The base armor gives you an attack bonus, and the set bonus reduces the Stamina use when charging a weapon.